Round Neck, V Neck and Hooded Cardigan patterns made with Snuggly DK. 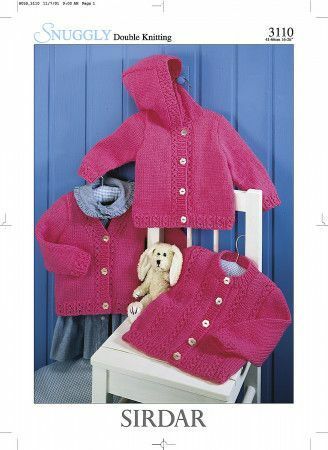 Pretty cardigans to complete your little one's outfit. Originally knitted with Shade 203, which has been discontinued. Please select an alternative. 1x 3.25mm (UK10 - USA3) 80cm Circular Needle if required.